CGM was approached by Mission Workplace to write and circulate a press release about an ambitious design project for Birmingham Metropolitan College, which involved transforming the ground floor of the college’s Matthew Boulton campus. 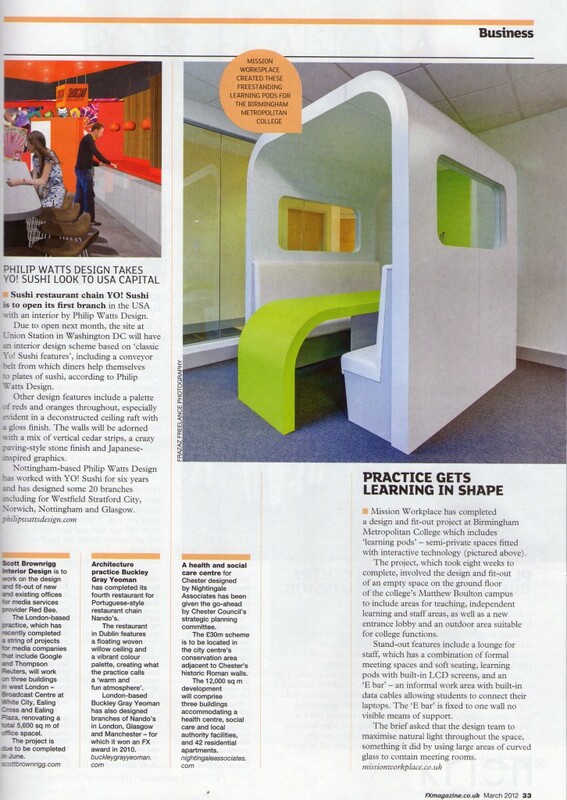 The project included innovative features such as learning pods and an E bar. The press release was circulated to local, regional and national media and specialist design and education journals. This stunning makeover received excellent print and online publicity across the Midlands and nationally. The story and photo appeared in the news section of the February 2012 edition of University Business magazine, which is read by senior management across 165 UK universities and over 350 higher education and further education colleges throughout the UK, who manage all aspects of running a university or FEI. The magazine has a circulation of 6,000 and a readership of 8,500. It is available both in print and digitally. A two page spread about the project, featuring five photos, appeared in the news and current affairs section of the April 2012 issue of University Business. 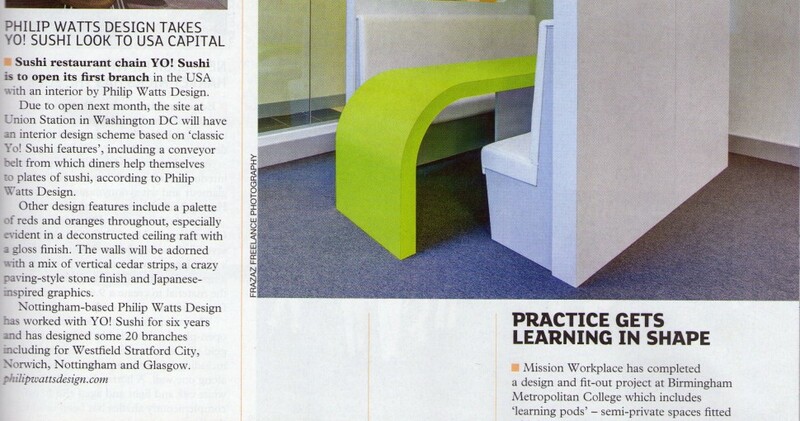 An article and photo also appeared in the March 2012 issue of FX Magazine (circulation 16,000) under the headline ‘Practice gets learning in shape’. The magazine is “the essential guide to the contract design market”.